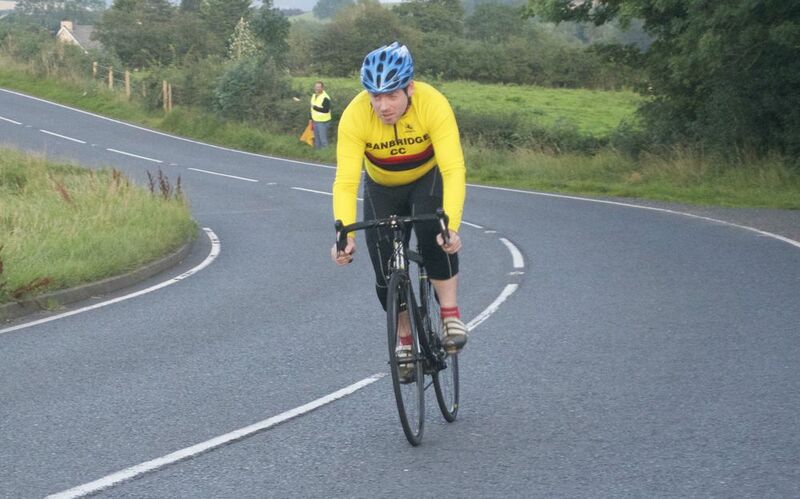 Wednesday 9th September seen the last Banbridge CC club Time Trial competition of the season. What a cracking night; blue sky and sun, the rider’s couldn’t wish for any better. 20 Banbridge CC riders signed up for the Castlewellan Road route along with 2 visiting riders. The starting orders were given and the riders headed to Tesco’s for the start for the starting drag up to Ballydown before you can settle into a rhythm. 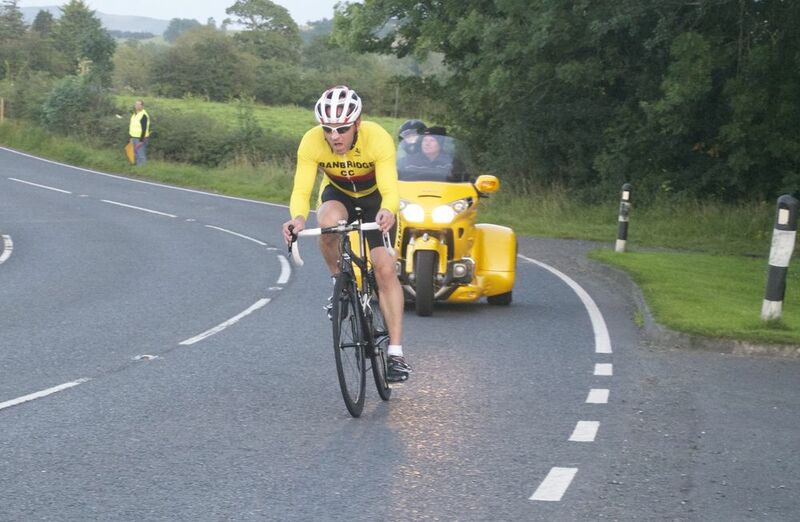 Paul Anderson, Stevie Fitzsimmons and young James Moore were up first to tackle the Castlewellan road. With James making great improvements every week it will give him a great target to beat next year. Chris Burns and Neil McAlister where off next. Little did they know we were set for a great battle. 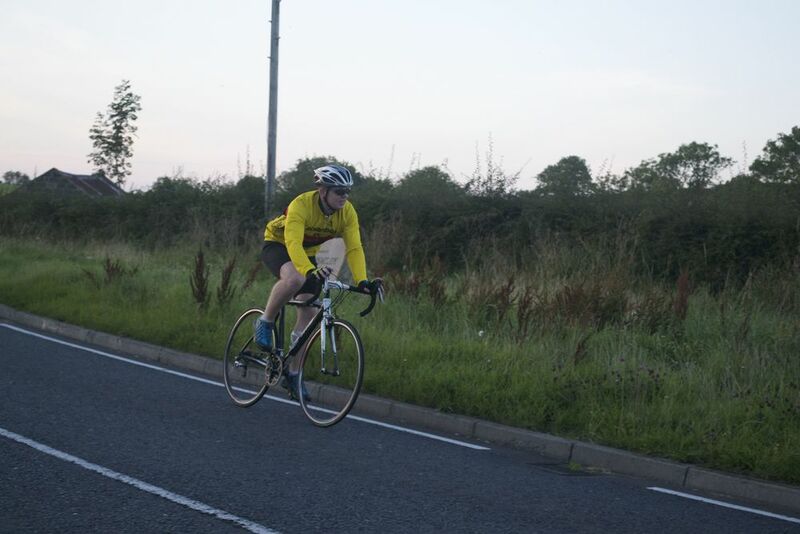 With a strong head wind out the Catlewellan road Neil tried to ride a steady pace so as to have something left for the tail wind home after the turn. But at the turn Chris was hot on his tail and panic station’s set in - time for Neil to go into the red and head for home. At the line Chris finished with a great 26:34 and Neil 26:33 – it couldn’t have been any closer over the 10 mile. Towards the tail end of the group the fast men set off. A Battle was brewing between Dan Purdy, Phil Beattie, Peter McBride, John Buller and Kevin Wilson. There was nothing between them at the half way point but there were rumours at the finish of tractor tactics coming into play for some of them. With the last battle of the year, was King Kev going to keep his record? Boy he just did with a brilliant 24:18! Even better than that young John Buller did a blinding 24:30 on a standard road bike, what a way to finish the year. We can’t wait to see what he can do next year as he enters the Junior ranks. Next was the very fast Dan Purdy with 24:52 and the always fast Phil Beattie at 25:30. 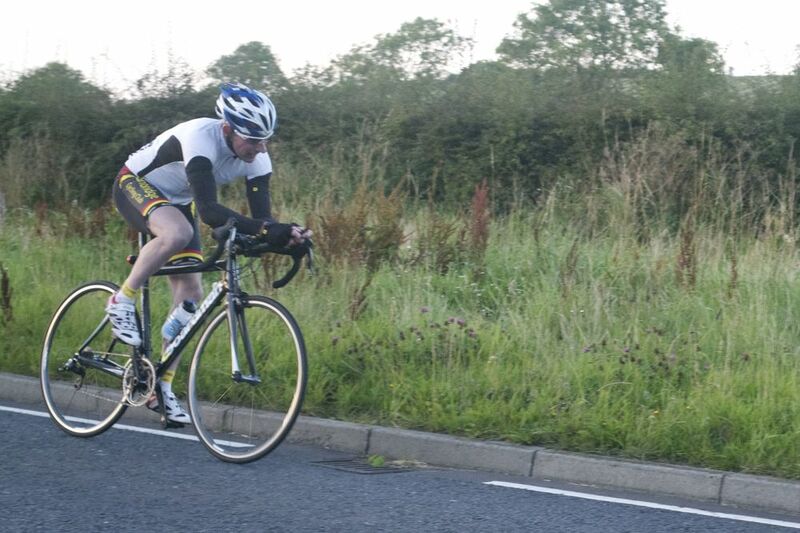 Peter McBride just pipped in with a great 25:51 on a windy night. 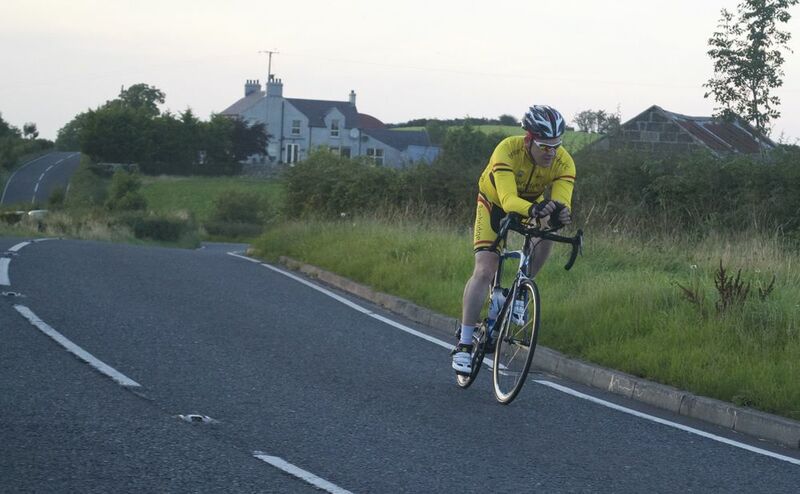 With Martin Fitzpatrick leaving it until his last TT to get his fastest time in only his second season in club racing with a great 27:11 which is an average speed of 21.9mph - some going for a man that doesn’t like TT’s. 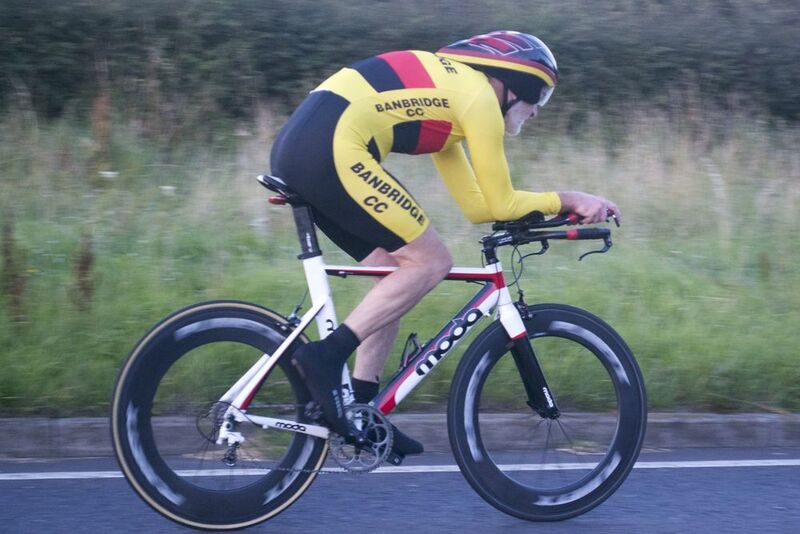 There must be mention to Stevie Fitzsimmons only on his fourth club TT and beating the 30min mark with a banging 29:31. What a way to end the season for him. There has been some improvement this year with times so many of the guys are really putting the training in to get their times down, it’s just sad that it has to end. Many thanks has to be giving to Ivor Park, Stevie Curran and their time keeping team all year, counting the riders down for the gruelling race or TT. Alan Towell and his brilliant team of marshals, wind, rain, sun and worse they have been there all year standing, stopping, cheering. It would not be possible without these guys so a big thank you from all the riders. 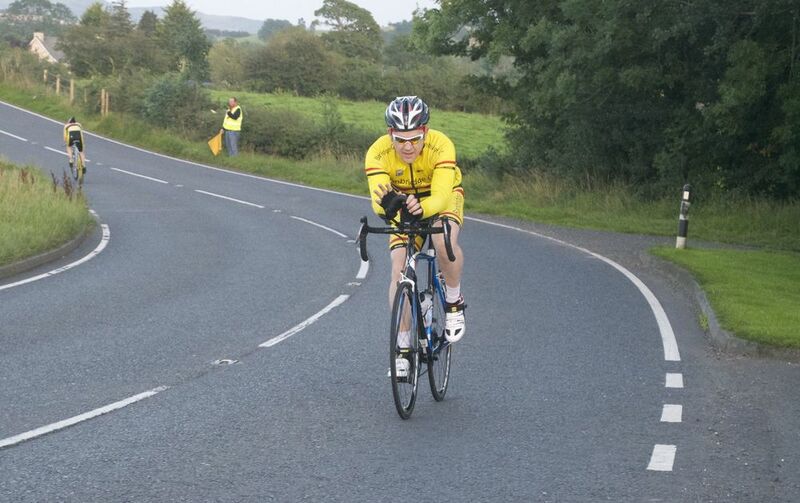 Monday (14th Oct) will see the final competitive event of the year with the Beggs Hills Climb in Dromore. It may be the shortest event of the year with times around the 1 minute mark but it is surely one of the hardest and most painful as riders tackle the lung busting Cull’s Hill in Dromore.